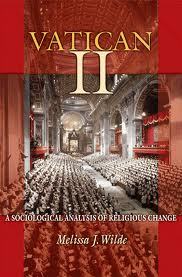 Vatican II research papers illustrate the Catholic Church went through in the 1960's. The Second Vatican Council, commonly known as Vatican II, radically changed the dynamics of the Catholic Church. When Pope John XXIII decided to call the Council in the early 1960’s, he claimed to be “divinely inspired” and thus did not want opinions about the advisability of Vatican II before calling it. The fact that Vatican II was called virtually unadvised, coupled with the fact that the Council radically, massively, and immediately changed virtually all aspects of the universal Catholic Church profoundly affected American Catholics and has left some wondering whether the Church was better governed under the strictness of Vatican I. World events and attitudes greatly contributed to the sense of hope inspired by John XXIII’s announcement. For Catholics, the Council meant a chance for spiritual renewal, growth, an opportunity to end divisions within the Church, and a chance to develop a personally and societally relevant faith. For non-Catholics, it offered the promise of change, acceptance, and the healing of some divisions. Substantial changes in world dynamics as well as a desire to unify all Christian faiths may have prompted the Council’s first meeting but, the resolutions passed during the four-year ecumenical council and the legacy left to American Catholics by Vatican II transcend that time period and original desire. Paper Masters writes custom research papers on Vatican II and illustrate the Catholic Church went through in the 1960's.